You’ve just found yourself in a secluded area. It’s late at night and no one is around. The lights are very dimmed and you are all alone. Suddenly, you hear some scary sounds and you don’t know what to do. You want to scream but nothing comes out. Then, without warning, a shadowy figure appears wielding a knife. You begin to run but you keep falling. As soon as the attacker gets close to you and it’s about to grab you, you scream loudly. Luckily, it was just a bad dream and you are back in the safety of your bed. This is normally what happens to most of us after watching too many horror movies when Halloween comes around. That’s because if there’s one holiday which makes everyone think about horror and scary movies, it is Halloween. The great American pastime brings together horror and scary movies fans together every year. They also get to dress up in their favorite costumes, go trick or treating and enjoy scary movie marathons all over. 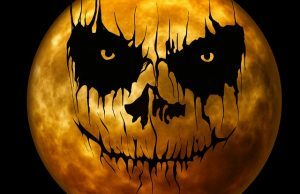 If you love being scared and thrilled by a horror movie, then take a look at these 10 best Halloween scary movie soundtracks. The truth is that one of the things that makes a horror movie more scary is the soundtrack. We all have a favorite or two when it comes to them. Below, are some of the best for you to enjoy this Halloween season. So lock the doors, get the popcorn and let the fun begin. If there is one movie which still continues to scare people today, it’s the The Exorcist. It was first released in 1974 and it made millions of men, women and children lose sleep. The soundtrack in this movie is one you will enjoy just as much as the movie. For music lovers who enjoy piano scores, the Candyman has a lot to offer them. There is something so creepy and yet innocent about this soundtrack that will leave you on the edge of your seat. If enjoy great music and want to be scared out of your wits at the same time, watch the Candyman. Pinhead, the main character from Hellraiser, became an instant sensation. Horror movie fans found themselves glued to the screen as they watched this film unfold before their eyes and ears. Fans will enjoy the orchestral music score from Hellraiser as well as the movie. It is impossible to have a list of horror movies and not include Freddy Krueger. Many people in the 80’s remember the Nightmare On Elm Street movies quite well. The movie also offers a great soundtrack music lovers are sure to enjoy. Using both horror and humor, Nightmare On Elm Street is worth watching over and over. Although some may not consider it a horror movie, Jaws is one of the scariest films of all time. Apart from the suspense, the Jaws film contains one of the best soundtracks you will ever hear. In fact, to this day, many people still have fears of entering the waters after watching and hearing the tracks from this film. Very few films have used children so well to scare us as successfully as Children Of The Corn did. This horror thriller will keep you in suspense as the soundtrack adds to the anxiety and fear one is overwhelmed with. Nothing like a homicidal maniac wielding a knife to keep you at the edge of your seat. This is what you get from the movie The Shining and actor Jack Nicholson. To make this movie even more horrifying, the sound effect and tracks are perfectly used throughout the movie. No movie has been able to make the “La la la” tune sound scarier and creepier than Rosemary’s Baby. The disturbing horror movie is filled with jazz theme music which will make you jump out of your seat. Psycho is considered one of the best suspense and shocking movies of all time. The soundtrack and score also make it very popular since the music is what helped make this movie so great. The famous shower scene contains one of the most effective and scariest scores ever. It’s a bit ironic that one of the best films to watch during this Halloween holiday is one that contains the same name. But the truth is that apart from being very scary, the Halloween film is recognized by its awesome soundtrack. Till this day, listening to the soundtrack sends chills up the spine of many people. ‹ Halloween Themes: How About An Asylum?